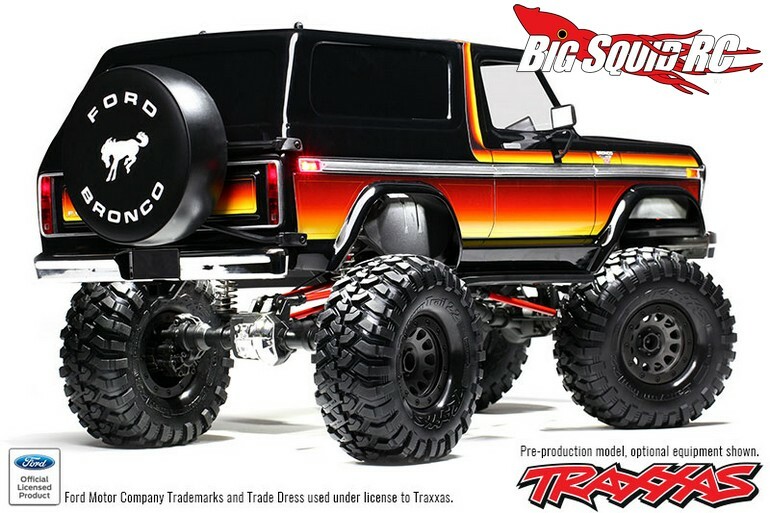 Traxxas 1979 Ford Bronco Body Kit For The TRX-4 « Big Squid RC – RC Car and Truck News, Reviews, Videos, and More! Years ago I remember Cubby saying that if Traxxas decided to enter the scale market that they would totally own it. Now it does indeed look like Traxxas is going full bore into the scale realism market. 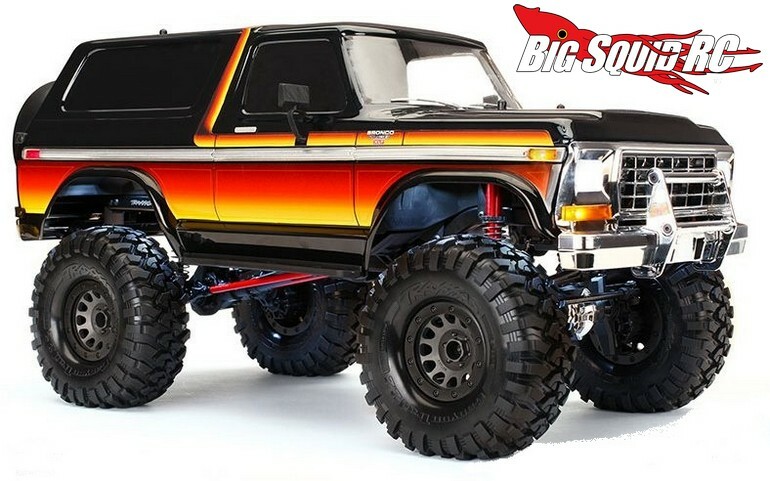 Being shown at SEMA later this week is a 1979 Ford Bronco Body for the TRX-4. The Bronco is fully licensed by Ford, but more importantly, Traxxas went above and beyond to absolutely load the body with scale detailing. The body promises “unsurpassed realism” with features like a molded chrome grill, bumpers, and side trim. It also sports side mirrors and mounting areas for aftermarket LED lighting. To take the detailing even further, Traxxas is offering, as an option, a chrome push bar and rear tire carrier. Full details and pricing have yet to be announced. Until then you can hit up This Link for a few more details, or you can Click Here for more Traxxas news on BigSquidRC.